Top Reasons Why the Transportation Industry Relies on Diesel Fuel - City Oil Co. Inc.
Diesel is one of the most important parts of the fuel industry. It is used in both domestic and commercial situations. It was in 1922 that an Agricultural Tractor was the first vehicle to use a diesel engine. In 1924 this engine was introduced into the truck market by commercial truck manufacturers. Through the years, this type of engine has been used in many aspects of both commercial and individual uses. Thousands of trucks that travel our major highways are using diesel for their fuel. • Diesel fuel makes it possible to deliver goods more quickly and efficiently. Diesel has proven itself indispensable to companies engaged in trucking and who need a fast delivery that is dependable and is of high quality. It is estimated that fleets of trucks, which make delivery of goods possible, use approximately 22 billions of gallons of diesel fuel each year. Emissions from heavy-duty diesel trucks became problematic with vehicles using this fuel. However, there has been a 99 percent in reduction in this area with the addition of new motor design and a change in diesel fuel structure. At City Oil we are proud of our ability to deliver Ultra Low Sulfur Diesel (ULSD) to a site quickly and efficiently. Whether you have a fleet of vehicles, have equipment on site or have a permanent storage tank, you will find our delivery equipment at your beck and call. In the winter time diesel is blended with additives to protect against winter weather. However, this fuel is not effective if it is not delivered in a fast and efficient manner. The importance of a schedule cannot be overemphasized and a reputation is built on reliability when called for a delivery. That is where we, at City Oil, come in. We understand what ‘emergency’ means when it comes to diesel fuel. As a result, it only takes a phone call to have our delivery vehicle on the road to your site. We believe the customer comes first and we do all we can to provide immediate service to take care of your needs. 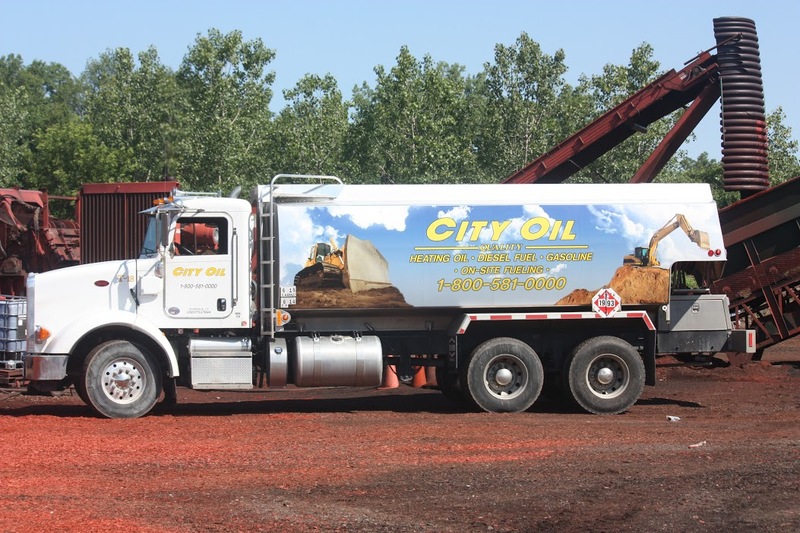 At City Oil Co., Inc we provide on-site diesel fuel services as well as short and bulk load deliveries. We also offer a high quality Diesel Fleet Fueling service that is pumped directly into your tanks. We are always on time and are available for routine scheduled deliveries. Give us a call today at (860) 356-4933 or fill out our online application down below to learn more about our excellent diesel delivery program.